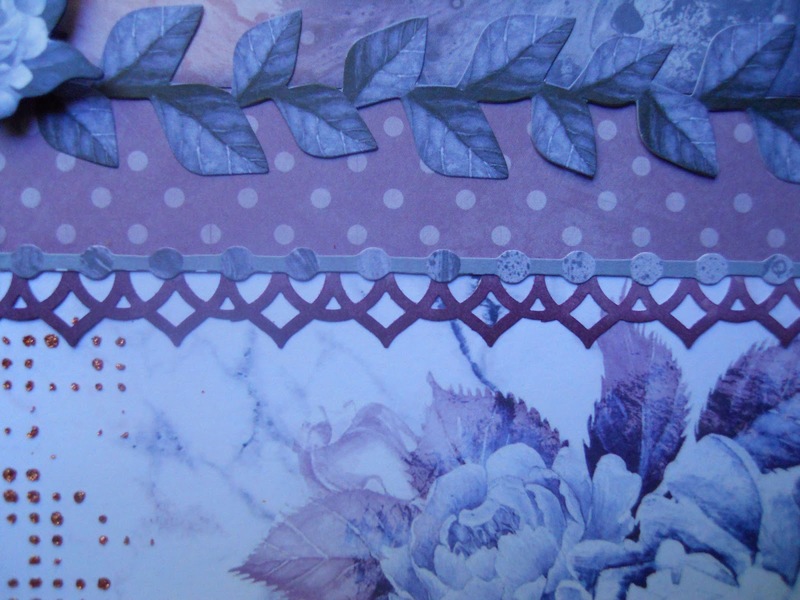 With cool, soothing colors, featuring beautiful floral and geometric patterns, the KaiserCraft Misty Mountains Scrapbooking Bundle isn't just for the mountains! 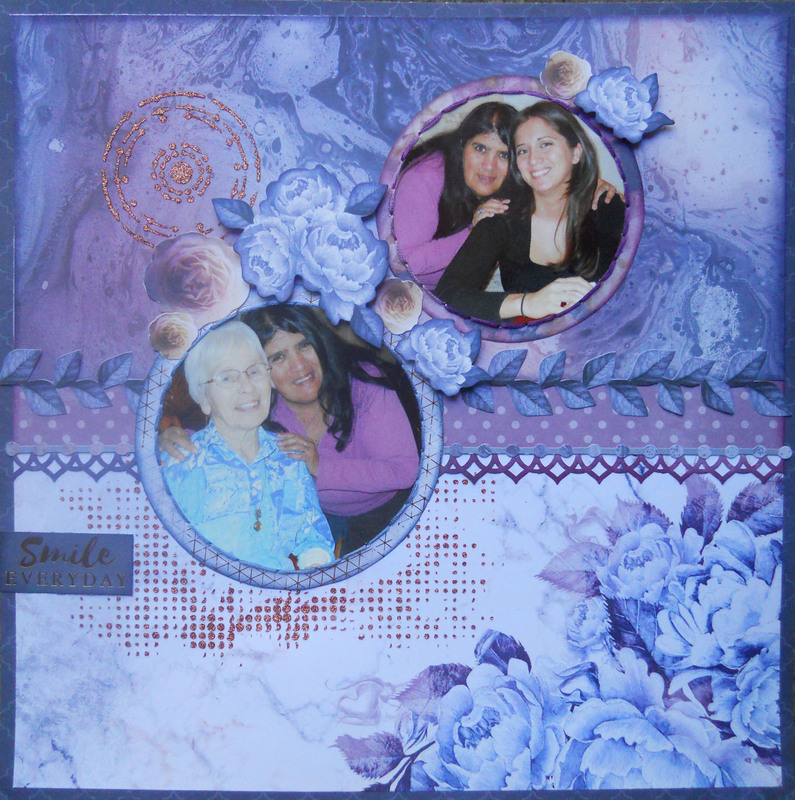 Drea with the Design Team, and this time I made a layout to showcase this gorgeous bundle from FotoBella.com. 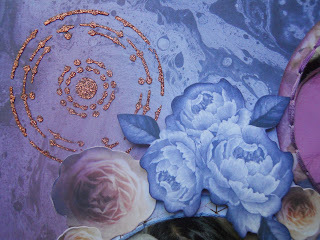 To some of the paper edges, I used my Blending Tool, to apply Distress Inks, (Chipped Sapphire, Dusty Concord, and Seedless Preserves), including the blue floral die cuts that I popped up for dimension. 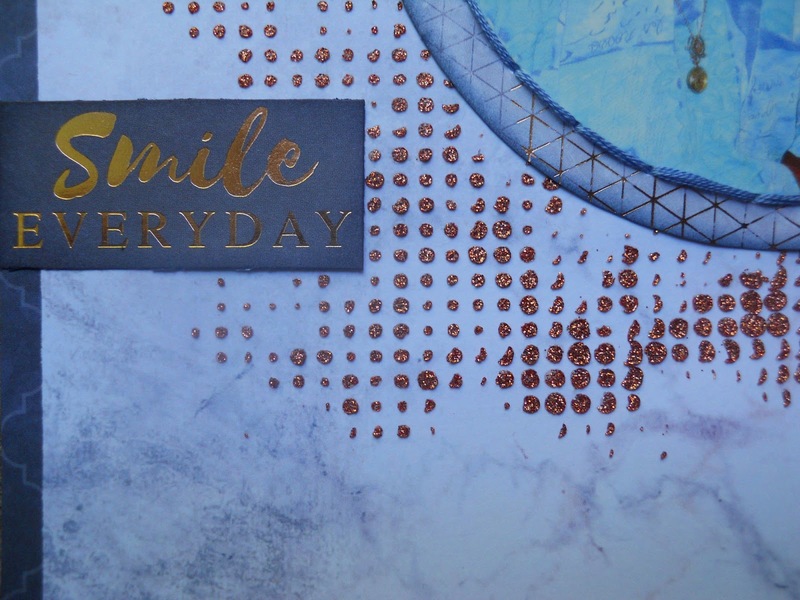 I also used the same Distress Inks to blend onto the punched edges, to create an hombre effect, before adding a couple of border stickers. 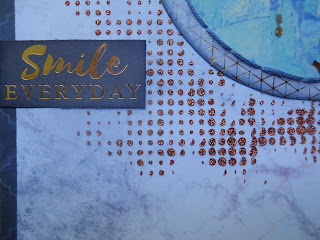 For a touch of sparkle, I used a couple of stencils with Bo Bunny's Copper Glitter Paste, to match some of the metal accents in the collection. 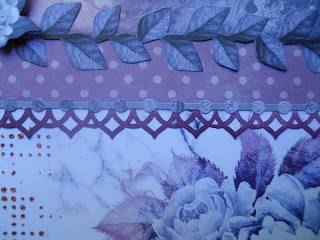 Thanks for looking, and get your KaiserCraft Misty Mountains Bundle, at FotoBella.com!